is happy to share a special series of articles on the auspicious occasion of this year's Sri Ramanuja Jayanthi. Article are in Tamil. First article in this series named "விஶிஷ்டாத்வைத தர்ஶனமும் நம்மாசார்யனும்" ( visishtAdhvaita dharsanamum nammAchAryanum ) is blessed byஸ்ரீமதுபயவே. திருமலை சதுர்வேத சதக்ரது. மஹாமஹோபாத்யாய. நாவல்பாக்கம். 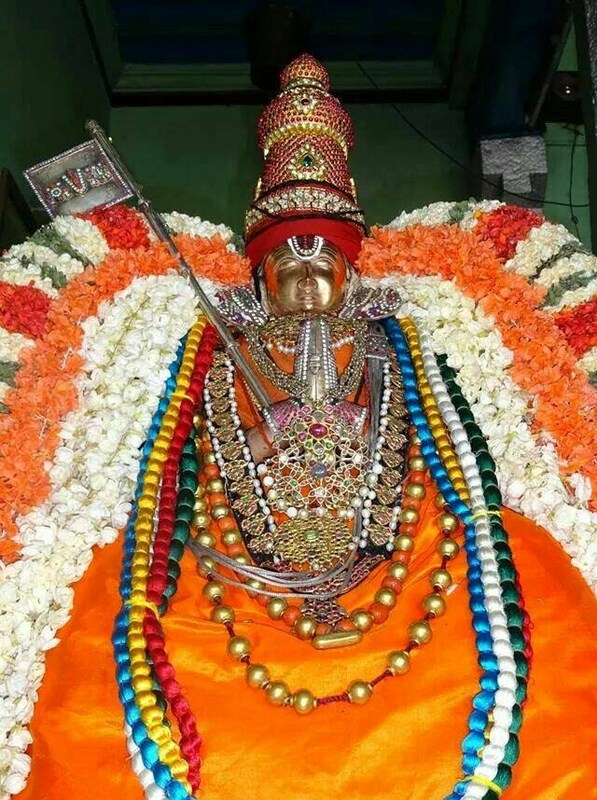 சடகோப ராமாநுஜ தாதயார்ய மஹாதேசிகன் ( Sri U Ve Thirumalai Chaturveda Sathakrathu Mahomahopadhyaya Navalpakkam Satakopa Ramanuja Tatayarya Mahadesikan (Sri NSR Swami) ). Adiyen’s sAshtAnga praNAmangaL to Acharyan for this parOpakAram. Bhagavatas are requested to download these article(s) from the following link and benefit. Dhanyosmi.